So Many people fight a losing battle with acne and it’s an understatement to say that it effects their self esteem and confidence. 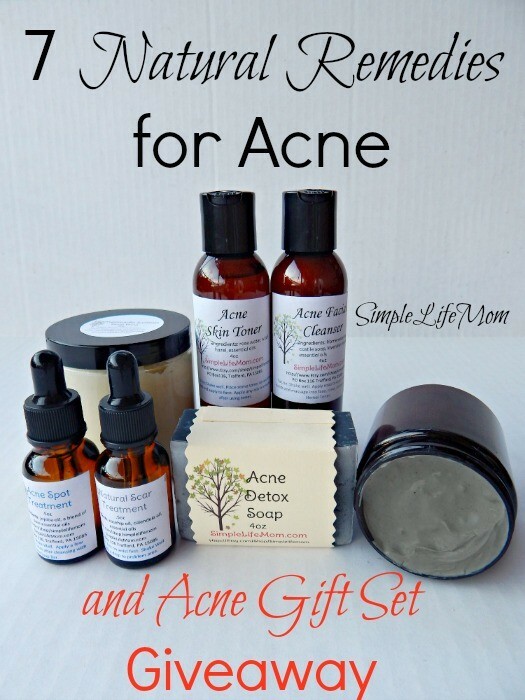 I have found some amazing Natural Remedies for Acne and am so happy to pass them along to you. I am at that stage of life where I have teenagers and have many friends with teenagers. Time and again friends have come to me to ask for help with their kids or their own adult acne; friends who want natural remedies for acne. Moms, so worried about their young girls, or teens themselves asking me for something different to try. They had tried one acne cream or medication after another and were incredibly discouraged. Many of them found the relief that they were searching for after making some key changes. Some people may find that the cream they were prescribed by the doctor worked best for them, whereas others may notice that the use of products like CBD oil made a positive difference to their skin. If you are someone who has tried everything and want to give the use of CBD oils a go, you best way to go about this is by looking into ohio dispensaries, where you will be able to get your hands on this product in the safest way possible. Of course, this only applies if this is legal in your state. When it comes to skincare, anything is worth a try, especially if you have heard positive results from certain products. Finding the right products is a hit or miss when it comes to skincare, but it is possible. The last point needs some clarification. People usually overproduce sebum when hormones are imbalanced. This is common during teen years, after childbirth, during times of excess stress, and during menopause. If you are struggling with any of these conditions you could visit somewhere like Advanced Gynecology of Athens to get expert advice on your conditions. You need to find out WHY you or your loved one is having acne. Quite often it is NOT due to one cause. Instead, teens who would normally have very little issues with acne are struggling significantly because they are bombarding their face with makeup, chemically laden lotions, creams and soaps. On top of that, they have a poor diet and their skin does not have the resources to overcome the damage being inflicted upon it and balance hormones correctly. Remedy #1: Eliminate a toxic environment! Natural Makeup – be careful of mineral makeups because they also have irritating ingredients, including some ingredients considered to be cancerous (like titanium dioxide). They may fight you, but the best thing they can do is go makeup free until their skin clears. Find Natural Makeup Here. Pure Lotions – lotions are often the number one cosmetic cause for acne. Before switching to a homemade shea lotion recipe, it did not matter if the lotion said it was non-comedogenic. My face broke out. After switching to shea butter lotion I have no more breakouts! Simple, right? These are not easy, so you have to measure your desire and motivation. 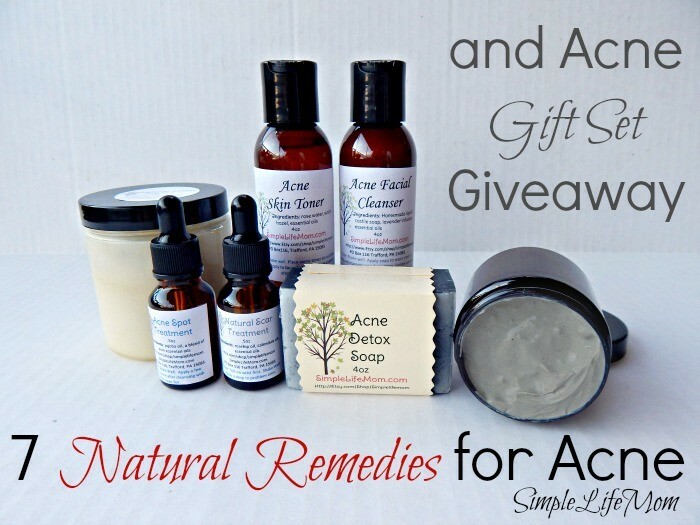 If you are ready to have fabulous skin, then you must be ready to make the effort toward natural remedies for acne! Take off the toxic beauty products and start eating right. Studies have shown that cutting out sugar and fried foods are key to having beautiful skin, but why? The answer is not that a cookie and fried chicken will give you zits. The answer is that bad oils that are GMO round-up ready, highly overused, rancid, and high in Omega 6s, and foods high in sugars destroy your immune system and creates an imbalance in your endocrine system. Start by looking at the ingredients of foods you eat most. Get out your phone and learn what each ingredient is and how it’s processed. The shorter the list, the less it has probably been processed and the more real the food will be. If you don’t know or if it is questionable, don’t eat it. Start getting healthy by eating healthy, real ingredients. THEN, you can start adding good foods. Fuel your body with what it needs and your skin (your largest organ) will thank you. This soap has helped a lot of people already and I’m so happy to give you the recipe (Click Here). The fact that it is a natural soap is a huge plus, but it also has activated charcoal and tea tree oil. Activated charcoal is known to draw impurities from the skin and speed healing, while tea tree oil kills bacteria so that skin can begin to heal. If you don’t want to make it, you can find it here. If you know that your hormones are imbalanced, then green tea is a known substance that helps to curb that overproduction of sebum (natural oil produced by your skin). Buy some organic green tea, steep it and let it cool. Use a cotton ball to soak up some of the tea and then dab it on your problem areas. This should not dry out your skin, so you should be able to do this daily if you wish. Aloe is very calming. If you have acne that is inflamed and irritated, then dabbing some whole leaf aloe vera can calm and sooth your skin, speeding the healing process. Why whole leaf, because the juice part on the inside is mainly water and you will lose a lot of the vitamins by only using the inside. Witch Hazel should not be ignored. It is a powerful anti inflammatory that also kills bacteria so that your cells can heal and rejuvenate. It is an astringent so that after cleansing it will help wide pores to close and protect the cells within. You should use a non-alcohol witch hazel so that your skin does not dry out and stressed more than it already is. I make a skin toner that is made with rose water, non-alcohol witch hazel, and essential oils. You can Find the Recipe HERE, or buy it HERE. Clay masks are a wonderful way to deeply cleanse pores, soothe and smooth skin, shrink pores, and balance oils. I use bentonite clay, aloe, and anti bacterial essential oils for the strongest effect. You can find a recipe Here, or buy some here. The Giveaway starts Monday 8/7/2016 and ends Sunday night 8/21/2016. 1 winner. See Rafflecopter link for rules. Check out this GIFT SET in my Shop! I am so excited about this give away. Thank you! Thank you Jessica. I hope it is helpful to many who struggle with acne. Thanks so much for the giveaway! I really enjoy reading all your articles and using your products. Thanks for the opportunity. Love your products! I had to breakdown and start using ProActiv about 10 years ago because all of the natural remedies I was using just weren’t working. Now I have teens who are breaking out. I’ve read that it can be hereditary. I love using natural so maybe these products will help. Entering the giveaway for sure! Yes, I think genetics does play a role in sebum production, your body’s reaction to that, etc. Many blessings to you and your children. I would love to win! Exactly what I need! Thanks for the great giveaway! You’re welcome Donna. Blessings to you! Thank You for all the help you have given me to go natural. I had cancer 1 1/2 yr. agoe and trying to go natural. Such a wonderful step to take, Kim. I hope you have a very successful journey toward better health! Just found your blog and have added to my RSS reader! I am on a quest to overhaul our home to be more healthy. We’ve always eaten healthy but I’m now starting to make all our cleaning and bath/beauty products so we can totally get rid of unwanted chemicals. So far things are going VERY well! I’m always looking for new ideas. I’m soon to be 32yrs old and am dealing with the most troubling skin issues recently and part of this lifestyle overhaul has to do with that. I want to eliminate anything that could be causing this adult acne. I’m going to be working through all the things you’ve listed to try to clean up my skin. Also the giveaway is perfect timing. I’d love to win. Many blessings to you Alicia! I hope you discover the cause and find health and balance for your skin quickly. These sound like wonderful products! Thank you for the chance. Thanks for the tips. 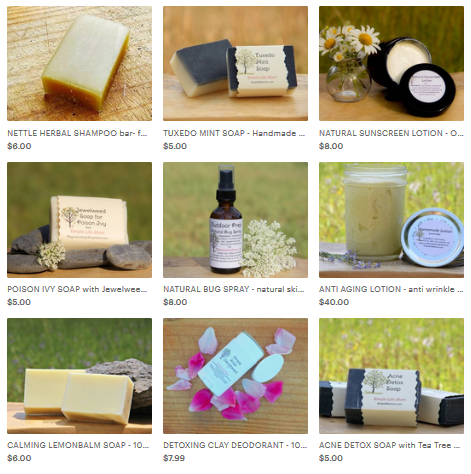 These natural products look great. Thank you Jenny. 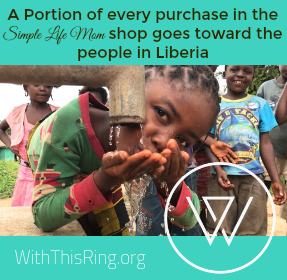 I know those who can make it themselves will, those who can’t or don’t want to can use my store. ..it all works out. ? Thank you so much for keeping such giveaways! You’re welcome. Many blessings to you. I have 2 teens also -I would love for them to try these products! Thanks for the ideas. I have two pretend suddenly struggling with acne. We already do the lifestyle things so maybe one of the product or treatment ideas will help. I am so impressed with the Rosey Bee lip balm. It is my every night must-do. I will be ordering around 10 of these for Christmas stocking gifts! So many nice products. I would love to try the soap. Thank you for offering this awesome giveaway! It would be wonderful to win! Great tips! I’m so glad that I don’t suffer from acne anymore and my kids are too young to get it. Have a fantastic week! Marisol, I’m so glad you found us! I hope you find what you are looking for. Let me know if you have any questions. I have ordered a few of your products on etsy and I love the anti aging products. They all smell amazing. Hi Kelly! Your business has really taken off, I’m so happy for you! Your products look amazing. Thank you Liza 🙂 It’s been fun. Good to hear from you! I love your site. I like how you tell why you use what you do in a recipe. Love this giveaway. Thank you Gail. Yes, I try to be very purposeful and transparent. I’m glad that’s appreciated. I have adult acne. I see a dermatologist on a regular basis. I would like to see how my skin reacts to this. I know my doctor would too. Oh my – I would love to try this for my sons’ skin! Found your site through the Sunday Fitness and Food linkup! It’s it just great! My daughters could really benefit from this giveaway! Good luck Trisha. Glad you found us! Such a great giveaway, thank you! I love all the info about acne, thank you! Great to see you here Juliana. I hope the information helps. Great give away and products. I would be eager to try them. What a great give away!!! I still get breakouts from time to timeand this set looks amazing! I’ve used some of your recipes in the past and they have all been fabulous ? Thank you Catherine! I’m glad you’ve gotten some great use out of them. Hi Kelly ~ I recently subscribed to your email list and I absolutely love LOVE LOVE your recipes! I’ve already made some of my own and I cannot wait to transition to a completely natural routine. I was recently diagnosed with polycystic ovarian syndrome and I am starting to have some issues with my skin. I will definitely be trying your recipes first before anything else. I totally believe in the power and healing potential of natural remedies, hygiene, cleaning…everything! Thank you for all of your hard work and for inspiring us to live naturally! Thank you so much Khava. You’re very encouraging. What a great giveaway – thank you!! It annoys the ever loving stuffing out of me that I still get blemishes – far too old for that stuff…. Ha ha, I agree Karen. I love a good giveaway! These products look great. Excited for this giveaway and I love your site!? Wow what a lot of interesting information! Will definitely be trying some new things and passing on the information. Thanks so much!! I love your site and your products. I have ordered soaps and anti-aging products in the past and will continue to do so. Your products really work and they smell wonderful! I gave some of your soaps and creams away as Christmas gifts last year and everybody just loved them. Expect another order from me soon. What an exciting give away, too! I printed this off! Great tips! Thanks for the great tips. I have been using witch hazel and I am loving it! Visiting from the Homestead Blog Hop. Very informative, thanks for sharing with us on the homesteader hop! I’ll have to try that clay mask. I’m still trying to find something to shrink my pores. I also want to switch to natural makeup. I love natural beauty! Great post. I really love this blog because you share so many important ideas. I am using natural products when it comes to my beauty regime. So much healthy things can be achieved when you prefer to be natural. 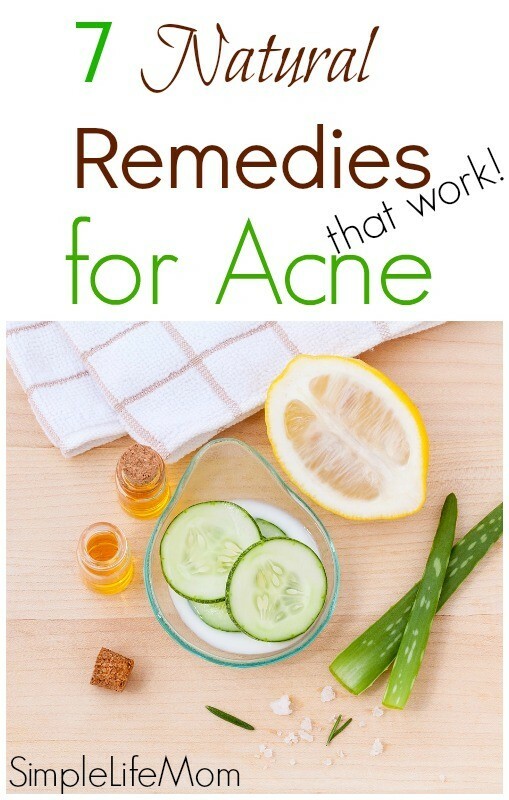 These natural remedies are helpful when it comes to getting rid of my acne. Thank you for this informative post.